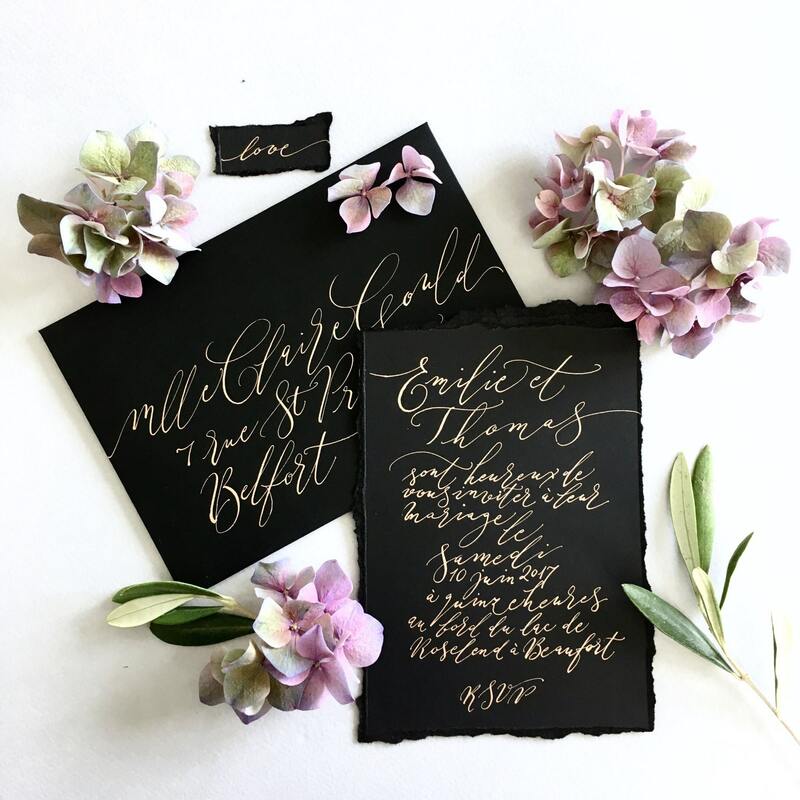 A superb quality handwritten calligraphy invite on luxe torn edge black card. 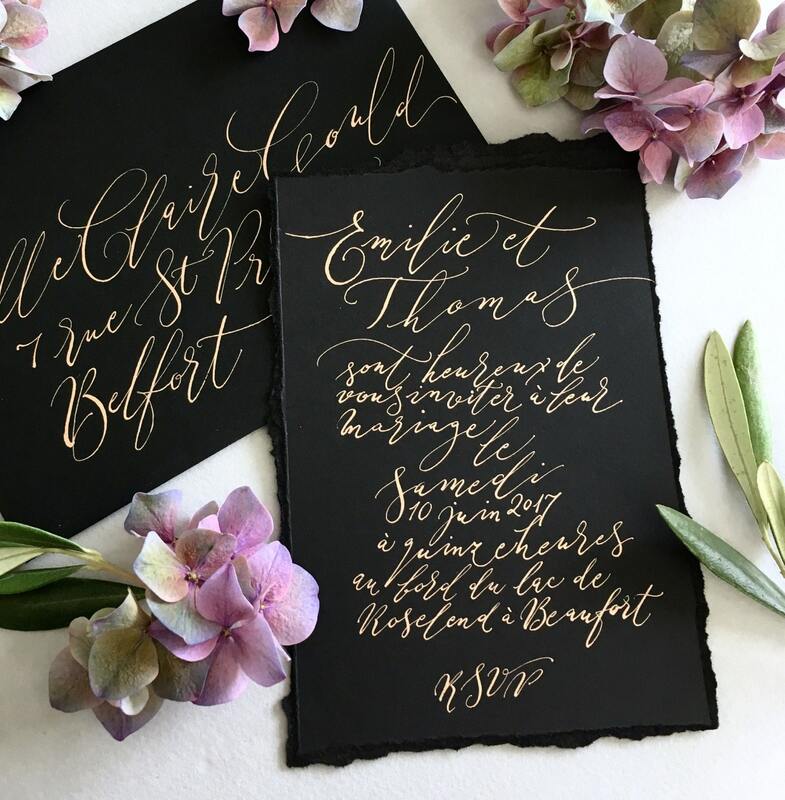 Every word is handwritten; every letter is carefully crafted to present the most striking luxe invitations for your intimate wedding. 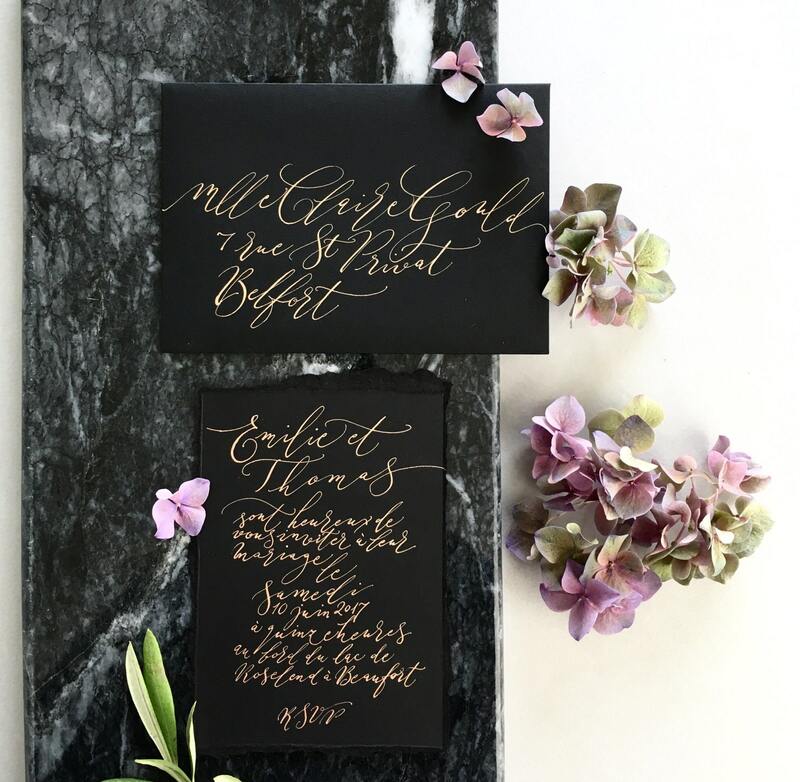 These invitations will set your wedding apart from the crowd. 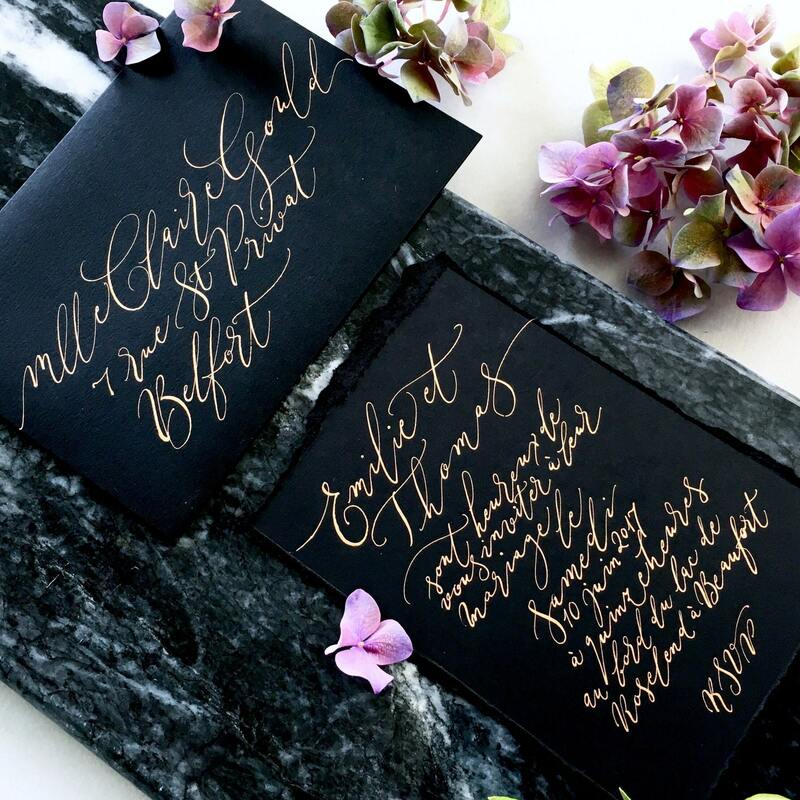 They're striking and beautiful, written by hand in a modern organic calligraphy style your guests will love. 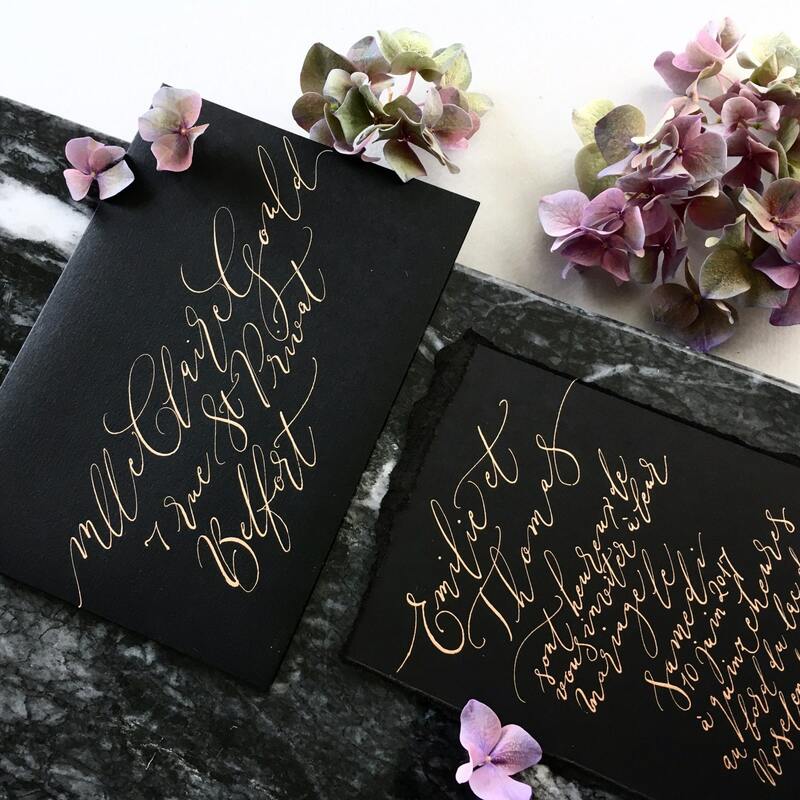 Calligraphy is written in metallic gold ink with a traditional dip pen and metal nib, in a flowing contemporary script. Please provide your own wording, and include guest names for personalisation if you would like to include these on each invitation. Each invitation has room for up to 30 words (written one side only), and up to 7 lines of writing. Invites measure approximately 150mm x 210mm. Please note this is not an exact dimension, as the invites are made by hand and not precisely cut. Blank black envelopes are included. For handwritten envelopes please ask!